Are you looking for the perfect fashion templates to capture your creativity? Fashionary have seen the stiff, impractical fashion templates available, and come up with a modern alternative. 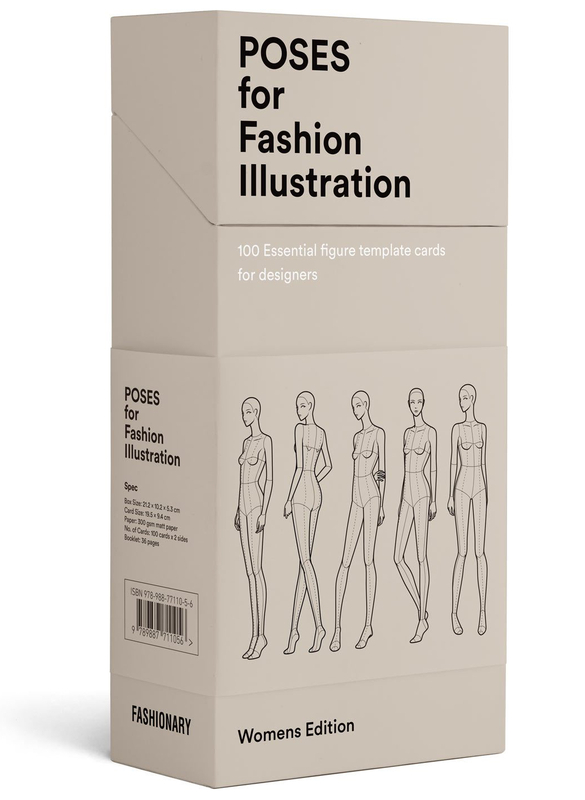 Their set of 100 pose cards are accurately proportioned, with practical poses that cover basic style to couture to sportswear – even including a built-in filing system to accommodate the busy fashion professional.